How to Balance your Right and Left Brain Hemispheres ~ Combat Stress, Anxiety, Depression and Fatigue, feel Super...Now! Similar to the yin-yang symbol, the hemispheres of the brain represent opposing forces of energy, yet each also contains the other within it. Both sides of the brain are being used when we do any task, be it creative (right-brain) or analytical (left-brain), but how the task is approached and carried out is influenced by which side of the brain is dominating at the time. Ultimately, we perform best when we use the whole brain in balance - a brain using both sides of itself equally and in harmony will succeed in utilizing its full potential. Einstein and Leonardo DaVinci are famous examples of whole brain thinkers. The LEFT BRAIN = masculine energy = controls the right side of the body and is adept at language, facts, science, math, strategies, details, following formulas and carrying out instructions. It thinks hierarchically and dualistically, it likes to label and categorise things to understand them. 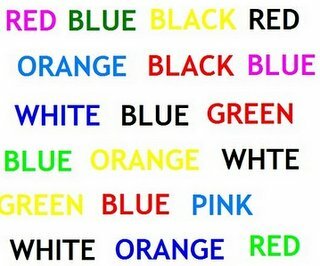 Apparently, the left brain is responsible for the body's movement towards the right, so when we read from left-to-right our left brain is being activated. The left brain gives us our concept of time, analysing the past and planning for the future. This makes the left brain very outcome-oriented. 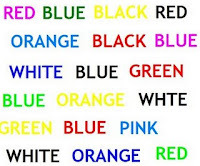 While we chose our words with the left brain, we chose our tone of voice with our right brain because we process our emotions with the right side. The RIGHT BRAIN = feminine energy = controls the left half of the body. Engages with the experience of the present moment, guided by feelings, intuition, imagination and subjective thinking. Creative, impulsive, emotional, thoughtful, and appreciates the beauty of form, movement and sound. It is also representative of the heart because of its ability to comprehend empathy, compassion and to see the bigger picture. The left brain has gotten a bad rap lately as we come to terms with the destructive nature of our logical-yet-insane patriarchal (left-brain dominant) society; its easy to paint the picture of a stern left-brain 'school teacher' character holding a whip and ruining all the child-like right-brain's fun. But it is the imbalance that is the problem and not the left-brain itself. Without our left-brain we would be in big trouble, unable to speak or read or even have an idea of ourselves as individuals, seperate from the objects around us. By achieving the balance of our right-left hemispheres, we can end the war of the opposing energies within our own minds. Masculine and feminine can work together in unison. We can be creative and imaginative, and realistic and practical at the same time... glory be. There are larger lifestyle changes that can help us to maintain this balance, like choosing activities that will stimulate our brains in new ways - for example if you are an accountant, try playing an instrument or dancing in your spare time. Or if you are a visual artist, try learning a new language to stretch your mind. Both sides of the brain work on a use-it-or-lose-it basis. 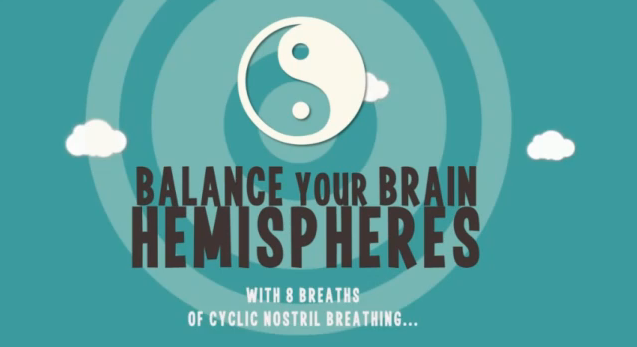 A more immediate way to balance our brains is through Alternate Nostril Breathing. Its been discovered that as our brain hemispheres alternate their influence, so does which nostril we are breathing through! If the left-brain is dominating, our right nostril will be doing most of our breathing and vice versa. We tend to switch back and forth between the two unconsciously around 10 times a day. 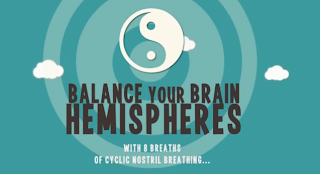 We can bring an immediate balance our brain hemispheres through the practice of conscious alternate nostril breathing.